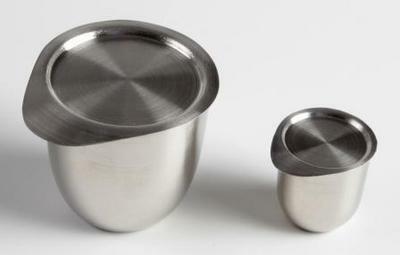 SAM offers low and wide base platinum crucibles in a variety of shapes and thicknesses. With our rich experience and knowledge in the metals industry, SAM is undoubtedly your first choice. Platinum is the least reactive metal. It has remarkable resistance to corrosion, even at high temperatures. Therefore, platinum is the preferred choice for standard laboratory ware. Our Pt crucibles are made from 99.95% pure platinum and platinum alloys, so they have thicker bases and lighter walls that help them endure harsh use. Below is our product list, we can also provide customized low and wide base crucibles. Our Low and Wide Base Platinum Crucibles are clearly tagged and labeled externally to ensure efficient identification and quality control. Great care is taken to avoid any damage which might be caused during storage or transportation.